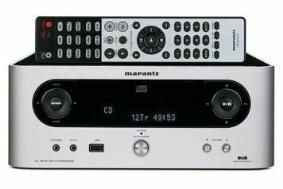 Marantz cuts the price of its M-CR502 mini system to £400 | What Hi-Fi? This moves it further away from Arcam's £750 Solo Mini, and brings it closer to the Award-winning £300 Denon D-M37DAB. Back in our July issue, when it was £500, we put the Marantz up against the Arcam Solo Mini and Shanling MC-30. Given the significant price drop, we've reviewed it again in the light of our 'performance-per-pound' policy, and you can read the revised review here.